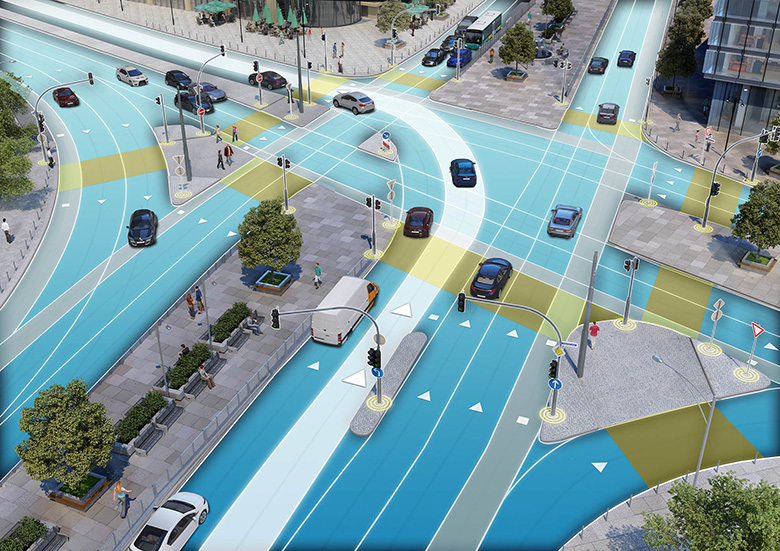 HERE, the mapping service now owned by Audi, BMW and Daimler, today announced a new cloud-based mapping service for enhancing Advanced Driver Assistance Systems (ADAS) and automated driving features in cars. 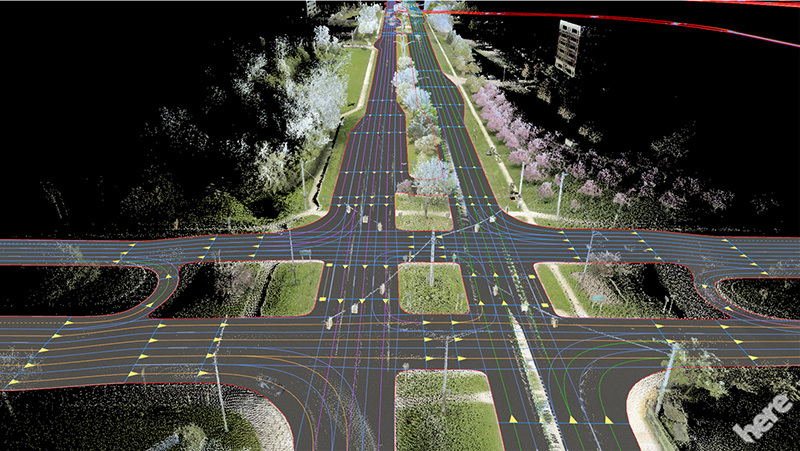 In the future, these maps could also form the core of the mapping system for self-driving cars as well. 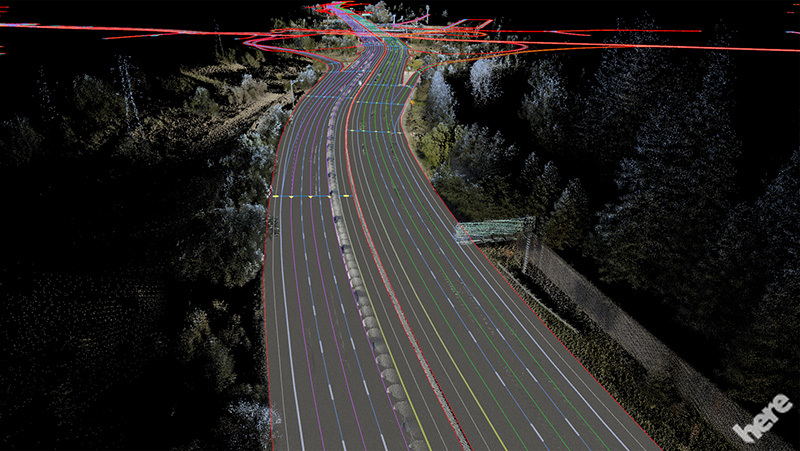 Even though features like automated driving on a highway are only possible because of a plethora of on-board sensors (like the ones Nvidia talked about earlier this week), highly precise maps still form the basis of virtually all of these more advanced systems. You can’t plan very far ahead, after all, if you don’t have a map, and sensors only reach so far — and definitely not around corners). What’s interesting about HERE’s solution — HD Live Map — is that it’s cloud-based and includes both data about permanent infrastructure like how many lanes a highway has, temporal data about construction and traffic, and some analytical data about how fast actual humans typically drive on a given road. Because the service is cloud-based, a car that detects a change to speed limits through its sensors can then send this information to the cloud and to all other cars in the area, as well. HERE notes that this is important data for features like adaptive cruise control, for example. Similarly, when it looks like a lane is closed, the maps can be updated so the following cars can switch lanes ahead of time. For the time being, all of this data is mostly useful for the so-called ADAS systems that make driving easier, but still mostly rely on human drivers. HERE has already worked with some manufacturers (it’s owned by a few of them, after all) to test these maps in self-driving scenarios.